94% of consumers search the Internet before buying a new product or service. Is your website at the top of the search results list? 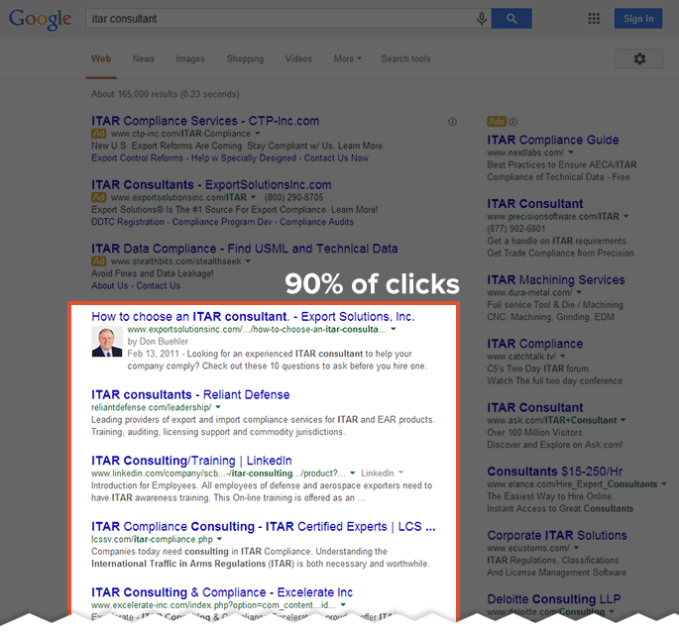 Organic listings get 90% of the customers. These are people actively looking to do business with you. 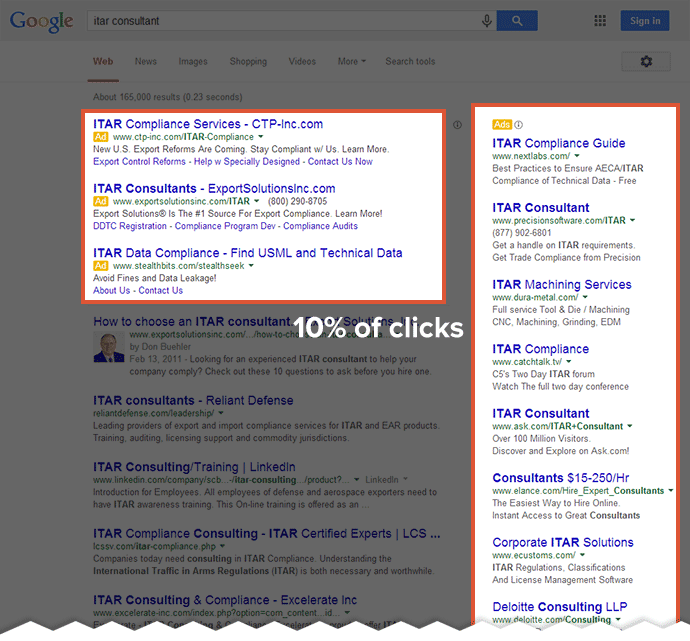 While paid ads like Google Adwords get only 10% of clicks. Who goes to the second page of Google? Nobody. Who gets the Lion’s share of the customers? The top three results. Combined they get 61% of the all the business based on search results for that industry. … Your website was on page one of Google? What would that do for your business? … And the whole process was fast. … And it came with a money-back guarantee? Want to take me up on it? If you’re done with being on the second page then head on over to here. We know how it is. You fight and scratch every day trying to find enough new customers to give you some breathing room so that you can take at least one day off, but you can never seem to catch a break. Meanwhile, your competitor, who clearly provides inferior service, seems to have customers stacked up. You see, your competitor shows up first on Google searches when people in town look for your type of business. When you show up first on Google searches, you get about one-third of all of the clicks from Google searches for your services, in other words, you get a ton of customers knocking on your door ready to give you their money. It’s that simple. Imagine getting first shot at ONE-THIRD of ALL your industry’s customers. Well, we can make that happen, and we can make that much-needed vacation dream a reality. If you have seen the light and are finally looking to hire someone to do your SEO (Search Engine Optimization) services, here in Durham, NC, look no further. i2iSEOConsulting, the best Durham SEO company, offers the best possible search engine optimization in the city. Even if you are looking for search engine optimization outside of North Carolina, we have you covered through online or phone correspondence. Durham SEO company will get you to the top of the search results (or your money back) without straining your budget. We know how competitive search rankings work in Durham, North Carolina, and we’ll make sure that your business is front and center when it comes to search results. SEO stands for Search Engine Optimization. In case you are completely unfamiliar with search engine optimization, we have you covered here at SEO Services Durham. Search Engine Optimization is the process we use in order to get your web page ranked at the top of search results. We make your website attractive to Google. The best Durham NC SEO services are easily accessible and affordable at i2iSEOConsulting. The discipline of SEO is focused on gaining visibility for your site organically. Organic search results are non-paid and come up on the list naturally through the use of our proven SEO Durham NC mechanics. The devices we use evolve technical and creative elements in order to improve your site ranking. One of our main goals at SEO Services Durham is to ensure that your site proactively attracts the business of customers, drives traffic, and improves rankings in your area. If you are looking for an SEO service in Durham, then look no further. Our Durham SEO company has learned the ins and outs of all of the mechanical operation that is SEO. A lot of things come into play when it comes to SEO Services. The words on your page, for instance, have quite a lot to do with how the search engine places your site at the top of the page. The way other sites link to your site on the web is another major element that is necessary in order to keep your site optimized. Durham SEO services will get your site ranked with the right links and text elements. It is crucial to structure your website in a way that allows it to be selected for the top of the rankings. Not only is it important to build websites that are search-engine friendly, you want your customers to access them conveniently. SEO Services Durham will ensure your site’s efficiency while maintaining its competitiveness. Marketing your website’s unique value will ensure the customers find exactly what they need with Durham SEO NC. Major search engines such as Google, Bing, and Yahoo drive a majority of web traffic globally. Social media like Facebook, Pinterest, and Tumblr can also generate traffic through link visits. Whether your site highlights products, services, information, etc., it is essential to help people navigate to your site through SEO company Durham, Search Engine Optimization. We call these people who are looking for your services “targeted traffic”. If your site cannot be found on a search engine, then you probably won’t be getting many visitors. Not getting visitors completely defeats the purpose of having a website, to begin with. You NEED your site to be found, and we offer the best Durham SEO services around, period. The words that are typed into a search box are called keywords, and Durham SEO NC knows exactly what you’re looking for. Keywords are extremely valuable to the visibility of your site. When someone searches for a something similar to your website, you need specific words that will coincide with the searched terms. Investing in Durham SEO services, for your site, is extremely helpful whenever you are trying to build a lucrative business. Studies have shown how businesses who use SEO can increase customers significantly, which makes you more money in turn. SEO company Durham is easily accessible and will give you the business you are looking for, so you can finally take that vacation or expand your business. Search engines are constantly improving how they use their technology scanning the web to effectively return accurate results to web users. Hiring the SEO Services Durham of i2iSEOConsulting is sure to get your site the increased attention you desire. We know how to make the right moves in order to get you where you need to be online. If you hire the services of another, it is quite possible that they end up making the wrong moves, and your site ends up lower or completely hidden in the search results. Using Durham SEO NC services of someone that doesn’t know what they are doing would hinder your site from business and defeat the purpose of making the investment in your business. Not only do we make sure the right content is written that appeals to search engines, we also boost rankings at SEO company Durham. These boosted rankings will allow the text in your site to be readily deciphered before someone even opens the link. We live in a time where internet ranking has become extremely competitive. The great news is you can hire some help that actually turns a profit. 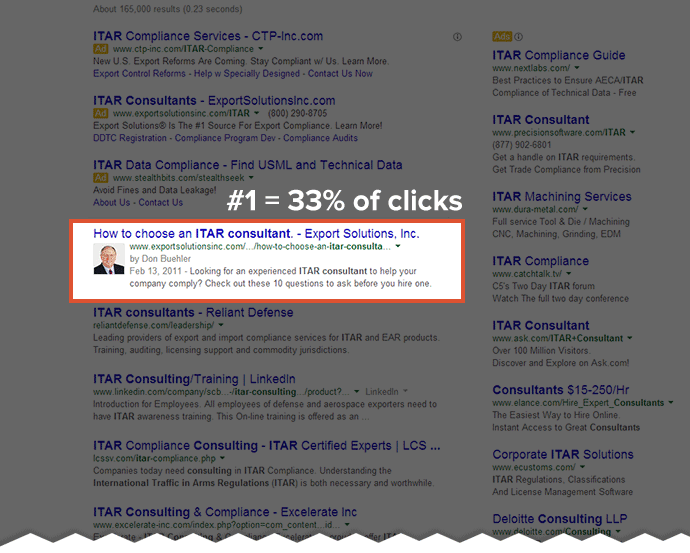 If you aren’t hiring i2iSEOConsulting, a Durham SEO NC service, then someone else is. This means it is wise to use the best possible service that you can find. Providing the best SEO services Durham, helps us ensure that your website is ahead of the competition. Although the realm of SEO is intricate, most people can comprehend the complexity of the basics. We are here to help keep you involved in the mechanics of the web. Every bit of information is helpful to make your site populate with the proper traffic, and we at SEO Services Durham are here to deal with the complications, so you don’t have to. If your website is running a business that competes with others in the area, it would be beneficial for you to enlist the help of the best SEO service you can find. This helps to ensure that your business gets the money that the competition otherwise would have gotten. Whether you need highly specialized or just broad improvement, hiring our expert services is the best option you can take for your business today. SEO Services Durham is the best SEO service in Durham, North Carolina, and our results show it. "Nice working with Priscilla, she definitely brought in more leads with her SEO service." "Having worked in the field myself, Priscilla is a true professional. Her experience and dedication to delivering results is hard to find in the SEO field. She truly cares about the businesses she helps and her results back her up." "Priscilla was very talented and pleasant to work with. She was generous with her time and left no stone unturned to finished the job to my satisfaction."